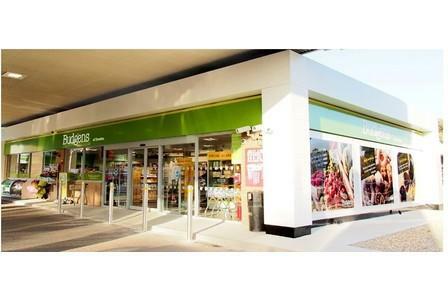 What do Budgens & Hotter Shoes have in common? The simple answer is… Nothing! One is oozing customer service and the other has none! Caring for people in their 80’s often means a trip to Budgens ( a small supermarket chain) and helping them on with their Hotter shoes. My most recent interaction with both of these resulted in two things. One: A phone call from me on behalf of my client to thank them for their consistently caring customer service and Two: Yet another email of frustration. To say Hotter Shoes gave me the cold shoulder is an understatement. Here is what I was complaining about. The soles of these shoes are crumbling/disintegrating/falling apart. Hard to be clearer than that. 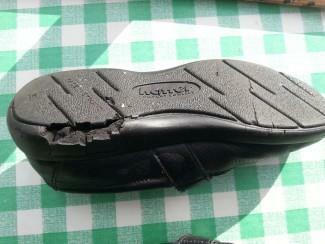 Of course all shoes, over time, suffer from wear and tear but these soles were just…well…see for yourselves. I have to tell you I wasn’t feeling particularly down that day but this totally lifted my spirits. I started to laugh so hard I got stitch. Then I looked at the assistant. She was serious. So I emailed Hotter shoes explaining that their shoes had been purchased by mail order and they needed to be replaced. Here are some extracts from emails from HOTTER. but from the pictures I cannot identify the style. and size of the black shoes, it would be helpful to us. we would be happy to look at them. They offered to send a pre paid postage label. Oh and they can't identify their own products?! Please accept my apologies that a returns label has not yet been received. I have arranged for another returns label to be sent out today, this will be delivered shortly. With regards to the Black and Beige (there were 2 more pairs with same problem) pair that have experienced a similar problem, if an item develops a potential fault, in the first instance, we would advise to return it to the point of purchase for inspection and further advice. Once we have been able to establish a record of purchase for these shoes, we will be able to advise further. I trust the above information is helpful to you. So, I don’t know if Hotter ever got their act together but just know this. One her favourite dresses she couldn’t wear because the shoes she wore with it were not longer wearable. Budgens staff however could not have been nicer. They greeted my client like a long lost friend/royalty every time she went in. They made her daily trip to the local shop a real pleasure. Since the lady in question passed away last month I rang the shop to say thank you for their unstinting customer service. Hotter? Well, let’s see what they have to say for themselves now! Yep, I’m having the same problem with disintegrating soles with my Hotter shoes. The uppers are fine but I recently had an awful experience of the soles literally melting away from beneath me when out walking with friends. Apologies for my slow response, however I am about to contact the BBC Watchdog programme about the cool response from Hotter. Please let me know if you don’t want your comments forwarded to them. Thanks again, Helen. I purchased a pair of hotter cloud shoes from a charity shop on Monday for £7.99! As they were unworn I was delighted to have found such a “bargain” However, on wearing them for work today I was gutted when they disintegrated before lunch! Not such a bargain after all! ? My wife has experienced a whole series of failures of the soles of Hotter shoes. The soles simply crumble and turn to a black powder. We’ve had to regularly contact the company and ask for compensation as one pair after another go the same way. Of course, they’ll refund only the price at the time the shoes were bought and replacement cost has typically been double that. Other makes in her shoe cupboard do not exhibit the same problem. We have often been given the same reason – that *not* wearing them causes the breakdown as the air cannot circulate. Today, I need to write yet again as four more pairs are looking unhealthy. StewartWould Appalling isn’t it! With your permission I could share this link on facebook and twitter. See if #hotter respond? @ann Do let us know how you get on! Yes same thing happen too me today. Only worn once, and my shoes fell apart. Like in the pictures but worse. Post back to hotter, so waiting for a replacement. Hotter shoes phoned me to tell me, they are not going to replace the shoes as the shoes are a few years old and I should have worn them, that’s why the soles crumbled.rubbish I payed over £85 for these shoes approx 2 years ago. And forgot I had them. Rubbish customer care service.not going to buy any more hotter shoes. I thought they were supposed to be good quality shoes. I had the same problem,I sent the shoes back to hotters, but had a phone call. To say they are not going to replace the shoes. Hard luck. 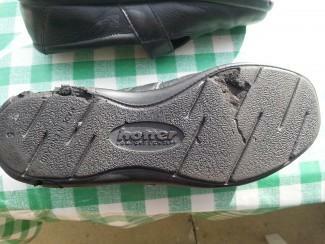 I won’t be buying any more hotters shoes .ps they were new,only worn once. I am very angry.as I my shoes crumbled. I felt so embarrassed as I only worn the shoes the first time. Yes it is appalling. bad it’s it, you won’t get any pair. I had a awful phone call. I felt I was being told off. Had the same problem. Hotter won’t do anything about it if you think about posting the shoes back. Hi, I wished I took pictures of the shoes I sent back, but hotters have kept them. So I’ve lost out. There is clearly a big problem with Hotter shoes. A chemical reaction in the rubber is causing them to crumble especially when stored. I wore a pair for the first time today and found myself half an inch shorter within 10 minutes of walking. This has happened with several pairs of Hotter shoes at different periods of time. clean and looked into this problem instead of fobbing off the very people keeping them in business. I’m dismayed at reading this. I’ve been a devoted Hotters customer. I’ve bought loads of shoes from them, and from their stores across the land, and the local outlet store. I’ve come to realise in recent years that they will fall apart – and not just after a long period of disuse. I think it is irresponsible of the company to offer 3 for 2 offers regularly if they know there is a likelihood their shoes could fall apart if not compressed (ie used) regularly. How many of us buy and save shoes for special occasions or certain outfits. Is it fair to expect those shoes to fall apart the minute we pair them together for such? My daughter and I sent back seven pairs of shoes in October on the advice of c/service who arranged collection. They were addressed to the lady concerned who had intervened and come to our aid. More than a month on they still haven’t received them … have we got the receipts for the collection they arranged? I’m 80, in failing health, was packing for a surprise hol the day they were collected and worried about a gully drain repair as the man concerned had vanished for five hours without repairing it. Is it any wonder I can’t find the receipt from Hermes? However, the collection service must have a matching record linked to the two parcels concerned? Both of which were not only addressed to the lady to whom we spoke but had our names and addresses inside and some background from me. My daughter, a former journalist, has kept pictures. She’s taken the company to task because she points out there is no info in the shoe care section of their website on – these shoes may fall apart at the sole if not worn regularly. Some of our shoes had been worn regularly, others looked immaculate on the inner sole and upper exterior but still they crumbled. We’ve read of people buying on online auction sites and trying to return otherwise beautiful looking shoes because the soles have collapsed. This is a real very issue to an award British company and there should be enough word of mouth, online, for the bosses to address what is potentially a huge issue for them. We have stopped buying Hotters. 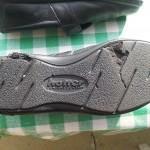 We love the product, while it works, but some of these shoes are unfit for purpose. Thank you for providing a forum to bring it to light. 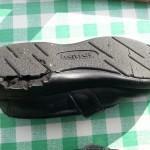 Yet another Hotter Sole disaster. What are they doing? Surely something more than individual complaints needed. I have had this happen to several pairs of Hotter shoes now. Yesterday I went out shopping in a pair of Hotter shoes that I wear infrequently, but which looked fine, and within 10 minutes of leaving the car most of the soles had disintegrated and I had to go straight home. I have been a Hotter fan for about 20 years and have about 10 pairs in the wardrobe, some of which were bought for a particular occasion and worn only once. I am now frightened to wear them in case they crumble while I am out. I tried returning one pair for an explanation about 2 years and was sent a £10 voucher and no written reply or explanation. Perhaps You and Yours (Radio 4) should investigate? That might shake Hotter up. Today a 10 year old pair of Hotter shoes that I occasionally wear, which should fit nicely between hardly ever wearing and wearing too much, just fell apart as I was walking, leaving half a heel on the pavement. OK, these are 10 year old shoes but the uppers are in very good condition. I don’t think I will be returning these to Hotter as no-one else seems to have had any joy in that department. What I will be doing is NEVER buying another pair of Hotter shoes and putting the word out that Hotter are rubbish. Merry Christmas to you all and I hope, for your sake, that Father Christmas does not leave you a pair of Hotter shoes under the tree; or for that matter wear Hotter shoes himself as I don’t think he will get too far on his delivery round. My boots about 6 years old and hardly any wear disintergrated today Boxing Day 26/12/16. I have a newer pair and concerned they might go the same way. Today I bought a new pair of hotter shoes from eBay. I wore for 20 minutes and the soles simply crumbled.unable to wear. Another sad story … I have a pair of brown nubuck Hotter shoes which I wear only in winter, and then only with brown pants, so they show very little sign of wear both on the upper and on the sole. I have had them at least 5 years and they are very comfortable so I was sorry this winter to find the rubber crumbling on both shoes at the heel between the sole and the upper. Sent an email to Hotter which they apparently did not take the trouble to read since their obviously standard reply included “this is an uncommon problem” and “caused by general wear and tear on the shoes”. It seems their idea of customer service is “we don’t want to know”. I used to recommend Hotter shoes to friends but never again. Have a pair worn regularly for 18 months,then soles just crumbled away and disintegrated.Uppers still like New.So disappointing,but cannot face the hassle of a fight with Hotter. This company needs sorting out!! Hmm. Who best to tackle this? I will put some feelers out and report back. They really can’t keep getting away with such poor quality goods and customer service. Watch this space… and thank you to all who have commented. I had a week wearing my new Hotter Stream shoes that I had bought from ebay & like other people’s shoes the soles have started disintegrating. Luckily I didn’t pay much for them. Until I read these comments I thought theywere fakes! This is the first time this has happened though my previous Hotter shoes lasted for a year & then started splitting on the soles. Prior to that my other lace up Hotter shoes have lasted for years. I still have some that I have bought over the last 5 years unworn, still in their boxes, so I wonder how long they will last. A pity as they are very comfortable but as the shoes can’t be stored which is ridiculous, never heard that about any shoes until now & as the quality has gone down hill so rapidly no point in buying any more. I’m glad I never paid the full retail price. I bought 2 pairs of unworn Hotter shoes still in their boxes on e-bay. Both pairs disintegrated after a few hours of wearing them. I have been wearing my Hotter shoes perhaps once a month and went out in them this morning for an hour and on getting into the car noticed cracks all around the soles and the toes of the sole completely gone! On inspection the sole was disintegrating before my eyes I thought I had trodden in some obnoxious chemical and really paniced until I found these posts! This happened to me- the soles of a brand new pair I bought second-hand disintegrated yesterday-the first day I ever wore them to work! Only fit for the bin…Glad I didn’t pay the full price and will never buy Hotter again! I have also had soles crumbling which is very disappointing. It is not always possible to wear them regularly eg sandals in the rain – so I have started to wear a different pair each day around the house. This is a pretty ridiculous solution and the shoes I presently own will be the last! I have had this problem with Hotter, M&S shoes and Padders. In fact Padders uppers seem to peel away from the upper as well. All shoes did not have much wear as was keeping them for best. Very disappointed indeed. I am about to contact the BBC Watchdog programme about the cool response from Hotter. Please let me know if you don’t want your comments forwarded to them. Thanks again, Helen. I .bought two pairs of Hotter shoes and a pair of sandals from a charity shop which were boxed brand new and still had their new labels attached. The soles of these shoes disintegrated the first time I wore them and all I could do was throw them in the bin. I paid twenty pounds for each of the shoes and ten pounds for the sandals. All I can say is that I am glad I didn’t pay the full price from Hotter. At least the money went to a charity. These shoes were clearly not fit for purpose. You can add my wifes experiences with Hotter shoes to the list. She has several pairs of Hotter shoes that have started to self distruct after little or no use at all. Some were bought for her as presents by her friends. Contact with hotter brought much the same replies as previousley reported including a promised return label that never arrived. have had 3 pairs go now. totally disintegrate and makes right mess/trail behind. I am returning mine this week and want an explanation or how they should be stored. I have recently bought their boots and worried same thing will happen. I’m so pleased to have found this site. LIkewise I complained to Hotter some time ago (? Two years) and they denied any knowledge of the problem. SInce then at least three more pairs have disintegrated and the last straw is that two pairs of boots have done likewise in the last two weeks. As others have said, the uppers are in perfect condition, and especially with the boots, I only need to wear them when the weather requires it. I live in the country so they are not fashion boots that one would wear regularly. I’m really fed up as I really do need to wear their wide fitting shoes. It’s not as if they are cheap. Hi Patricia, yep this problem goes on and on. I have reported Hotter shoes to BBC’s Watchdog consumer programme but not received a reply. I will chase them (the BBC) up next year…Haha. aka tomorrow 🙂 I’l keep you posted. Helen. Hotter Shoes … Environmental Friendly Shoes …. Think of the shoes limited lifespan as the price you pay for the comfort, support, resilience and shock absorption they deliver .. ” .. if only for a few minutes ! Soles that will crumble in a shoebox will crumble in a landfill. Yippee! I have had the same problem with 2 pairs of Hotter shoes. Both had the same black crepe soles and just suddenly disintegrated. Had worn them a few times but the day it happened there was no sign of any impending problem when I put them on. I was sat at the table drinking coffee and when I stood up it looked like someone had dropped some soil on the floor. I then realised it was my shoes making the mess. The sole of one foot had broken up and the other was starting to crumble. This was my second pair to go like this but the first time it happened I was out walking in Nottingham and thought that I had walked through something that had caused my soles to crumble. Seems as though it was not my fault that the first pair bit the dust ( or turned to dust) but rather a general problem with Hotter shoes. Neither pair had been heavily worn and never for long periods at a time so were both in very good , almost new condition. Now the only place they can go is in the bin. Not so HOT after all. I have just informed Hotter that a pair of Winner shoes, probably purchased many years ago, but have been in storage for 99% of that time, have also got the ‘Crumbling Sole’ syndrome. I had the same problem with a pair of ankle boots and sandals a few years ago, but have to say both were resolved to my satisfaction. I have just had the bog standard reply of it most possibly being down to wear and tear, despite me stating they had hardly been worn. I have just sent off a reply with clear photos, so now it’s time to ‘Watch this Space’. I’ve also stated that much cheaper shoes stored with them, are still perfectly wearable. If I see shoes I like, I buy them immediately, as it’s a rare event, but it doesn’t follow that I’m going to wear them at that point. A ps. to my previous post. And an update from my previous 2 posts. No questions asked after sending my shoes back ‘For Inspection’. A full refund of the purchase price BUT only credited to my account for when I purchase another pair. I’ll have to ‘Hang Fire’ until I see a pair that I know will not be going into storage, because as this is the third pair I’ve sent back with the same problem, I won’t be buying anymore after this episode. I wore my Hotter shoes once about a year ago and stored them. Put them on today, walked for 15 minutes and discovered the soles were disintegrating. Just found this website. Is there any up to date information on how people have got on with the company? Surely the shoes are not fit for their purpose? How can the company still manufacture them. How ridiculous that they need to be worn. I am so disappointed as they are so comfortable. Are Mens shoes the same? My son has some for school. What consumer rights do we have? Sincere apologies for delay in replying. I have just moved house. I haven’t given up on this issue just not had time to follow up. Will try to get to it in next few days. This issue also applies to Padders and Ecco shoes. It seems that they must all get their soles from the same manufacturers. Hi, and thanks for your input. I do apologise for my tardy reply.Apparently the BBC programme Watchdog did a feature on crumbling souls and asked for further information from viewers. I had tried contacting them ages ago and had no reply. Hopefully they might pay attention this time as another reader and contributor to my blog has forwarded all our complaints to Watchdog. That was about a week ago…nothing yet but will post as soon as I hear anything. thanks again for taking time to reply. Let’s hope we get some answers! Cheers, Helen. I have worn my black lace up boots (purchased in Hotter shop) three times this Winter. Discovered both heels are disintegrating when I put them on this week. I am a pensioner and was advised that these boots would be a good reliable and comfortable purchase, instead of which they could have caused me to fall. Did anyone see last nights Watchdog program on BBC. They had a feature on Clarks shoes and their soles breaking up and requested viewers who had similar experiences with any other makes of shoe to provide them with details. Having just seen the same problem on ‘Watchdog’ concerning crumbling soles on Clarks shoes, I have informed them of this link and Hotter having the same problem. Just returned a pair of men’s crumbled sole winter sturdy shoes to the most rude and patronising manageress at Kendal store. I was told they should have been worn. They were tough WINTER shoes and could not be worn in summer. As looking at previous reviews, why offer 2 for 1 if shoes don’t last? Have worn Hotter’s for years but that was my last experience. I have never been made to feel so bad and spoken to so rudely. I will try another brand. The soles disintegrated on my expensive Hotter shoes also. I wrote to them and got the same brush off. Return them to where I bought them. They were a few years old and were my go to shoes, but not worn daily. The uppers still look new. I will not buy Hotter shoes ever again and would recommend the same to family and friends. I contacted shoe repair people and one said he could fix them but they would cost more to fix than to buy a new pair. One made a comment about what do you expect when you buy cheap shoes-which these were not. Most said they were unrepairable. This is such a disappointment and with so many people having problems with these soles deteriorating like this, you would think they would find a different method of making the shoes. Thank you for adding your comments to this blog. Another customer (scroll up to see) has since contacted Watchdog, the BBC consumer programme, as have I but neither of us got a response. Truly shameful. I am going to try twitter. See if that wakes them up!! Helen. I bought a pair at a resale shop that looked as if they had never been worn! Beautiful high quality shoes! To my dismay, I noticed them crumbling while at a doctors visit. This was one of the most embarrassing moments of my life! I wish I had seen this website before I bought them! I had to laugh when I found this website! I too have been caught out by the hotter shoe sole disintergrating scandal. I wore mine for approx five yards after leaving my car before I had to resort to walking in my stocking feet to another shoe shop to purchase a pair of shoes to return home in. There is really some issue with the manufacture of these soles!! Perhaps hotter really do need to take stock and get their act together and investigate. Surely this amount of incidents show that something is wrong? 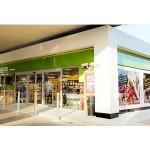 Hotter must feel they are not losing out as they still seem to advertise and grow in popularity. Perhaps more needs to be done to show hotter that their attitude is not acceptable.